A wonderful Polish woman took the place of my grandmother's mother when grandma's mom died young. This Polish woman became "grandma" to my mother, leaving my mother awash with Polish culture. Let me tell you, those people can eat. I had no idea how much of my childhood foods were Polish in origin until I grew up and couldn't find these foods anywhere. 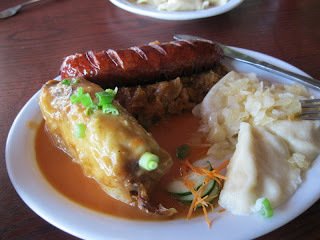 Kielbasa, kalatchkies, pierogis, real sauerkraut, and Golabki --"Pigs in a blanket" (stuffed cabbage rolls). 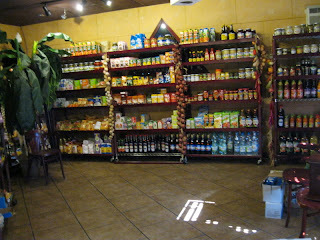 And nowhere else on earth did I find mom's wonderful foods or did I hear mom's hilarious Polish outbursts. All those crazy "Maslarisms?" Some are Polish words. Who knew? In Europe around 2008, wandering down a curvy village road in Austria, I stumbled upon a Pierogi restaurant. I was stunned. Somebody else knew how to make my mother's beloved Pierogis? No way! Read about it here. 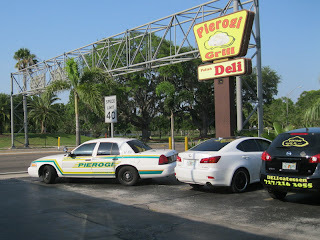 And now, 3 years later, Tom casually drove me up to a Pierogi restaurant in Clearwater, FL. I ordered the Polish Prince Platter in honor of my dad. For the first time in my life, I would try his favorite -- Nana's "Pigs in a Blanket" -- the stuffed cabbage roll. (bland) The platter also had kielbasa on sauerkraut and 4 pierogis. The sauerkraut was to die for. The waitress admitted they put secret stuff in the sauerkraut -- stuff like tomatoes, plums and mushrooms. The pierogis weren't like momma made 'em. They were a little mild, but still YUMMY. Tom loved them. I think mom's are better, but these are still great. After our extraordinary meal, we took a stroll through their "store" in the back. I saw several things that reminded me of home. And, mom, they had all kinds of jars of fancy beets that I would have brought back to you, but they were all HUGE jars, way too big for just one person. And you know nobody's gonna help you eat them. 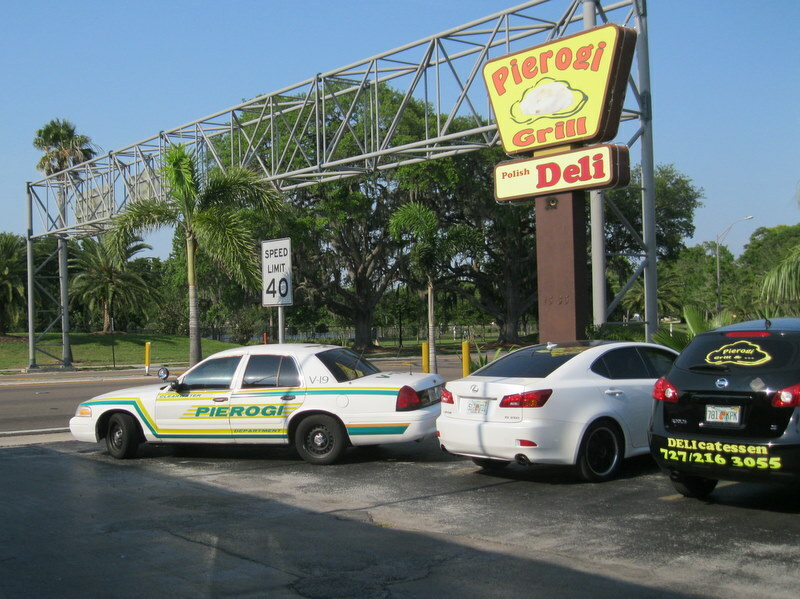 Pierogi Grill, 1535 Gulf to Bay Blvd. Clearwater, FL. 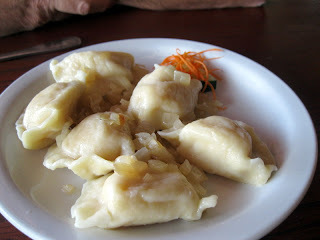 727.216.3055.
oh man now you've made me want to make some Pierogis oooooooh that sounds so good!! Can't believe you found that restaurant, I really need to start cooking again don't I?!! Yeah! Start cooking again like... um... June 6 - 8 maybe?